Easily do hard disk image, virtual disk image, boot disk image, win disk image/system disk image, cd disk image, dvd disk image, etc. “Image” can be a noun or a verb. Therefore, “disk image” has different meanings when “image” functions as different word type. 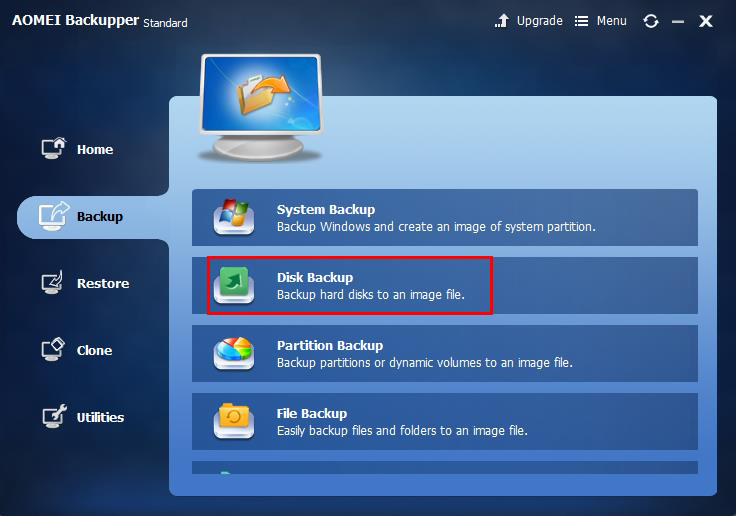 When “image” functions as a noun, “disk image” means a copy/backup of a hard disk; when “image” functions as a verb, “disk image” means the action to create a copy/backup of a drive. 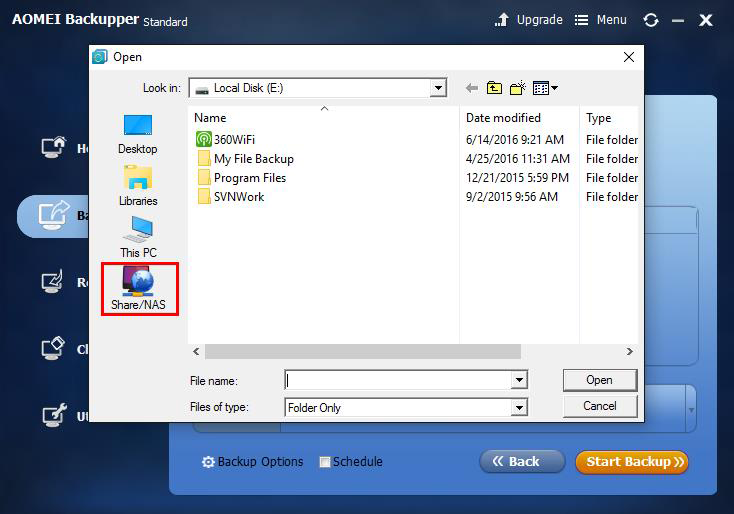 How to create a disk image? Or, let’s say how to do disk image or how to image disk. Of course, we can make disk image with disk image tool - AOMEI Backupper, a professional and safe disk image creator. 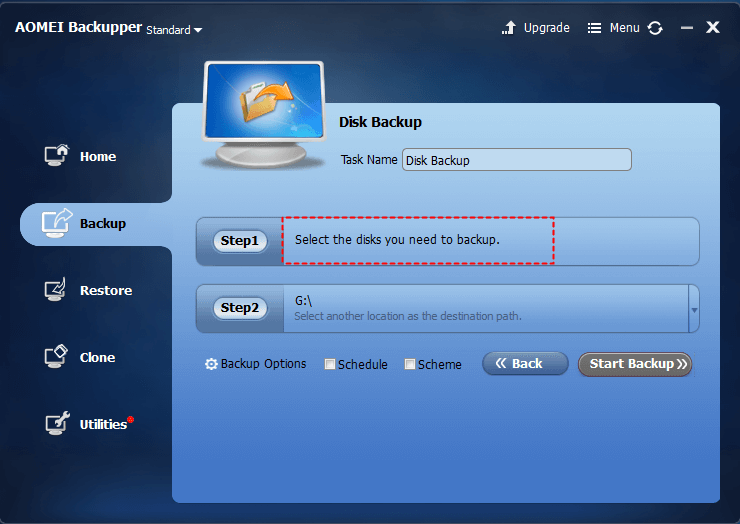 With it, we can quickly do full disk image backup just in a few steps like below. Step1. Open this disk image program and choose “Disk Backup” in Backup panel. Step2. Select the source drive you want to image. Step3. Choose another hard drive which has enough disk space as disk image destination; then, “Start Backup” to carry out disk to disk image.